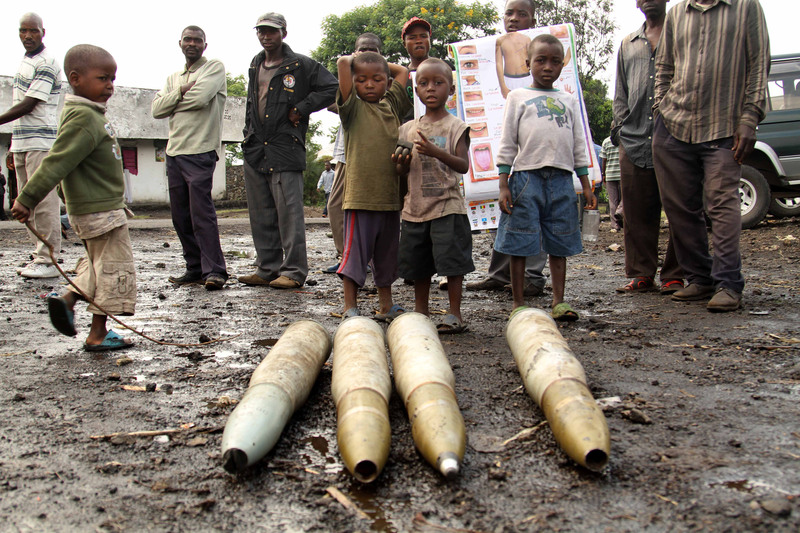 Writing from the Democratic Republic of the Congo’s North Kivu province, the Enough team reflects on the impact that the March 23 Movement’s dramatic seizure of the strategically important border town has had on civilians in the area. A city of over one million people, Goma is a commercial hub for the country’s mining sector, houses countless international humanitarian agencies, and also hosts a number of camps for internally displaced people who fled their homes due to conflict in other parts in the country. This latest round of hostilities, ending a three-month-ceasefire between the rebels and the government, has precipitated a humanitarian catastrophe for civilians in the region and raises grave questions about prospects for peace. Goma awoke to artillery and mortar fire on November 20 as rebels with the March 23 Movement or M23 pushed their way into the outskirts of town, taking control of North Kivu province’s main airport. Main streets were deserted, and local radio stations halted regular broadcasts, playing only music to fill the airwaves. Those residents who had not already fled sought refuge inside their homes. By mid-afternoon, the Rwandan backed M23 rebels brazenly claimed full control of Goma by marching down the town’s main road to the “Grande Barriere” border crossing with Rwanda. Soon, the explosions stopped and any remaining government Forces Armées de la République Démocratique du Congo, or FARDC, soldiers cleared off the streets, either fleeing the city or going into hiding. Speaking to Enough, M23 spokesman Lt. Col. Vianney Kazarama argued that the rebel group had no other choice than to advance to Goma to compel the Congolese government into direct peace talks. M23 issued a communiqué last week demanding a place at the table for direct political negotiations. However, government officials in Kinshasa continue to dismiss the rebellion as “fictitious forces put in place by Rwanda to hide its criminal activities in DR Congo.” It remains unclear if the rebel’s seizure of Goma will force Kabila’s government to revise this hard line position. In the meantime, there is every indication that the conflict zone will widen in the coming weeks, especially in the absence of a peace agreement. Asked about where the group has its sights set now, a senior M23 source told Enough they are “not going to wait even a week” to start making their way to Bukavu, the capital of South Kivu.